Up to 10x Wild Multipliers in Red Hot Wild Slots! 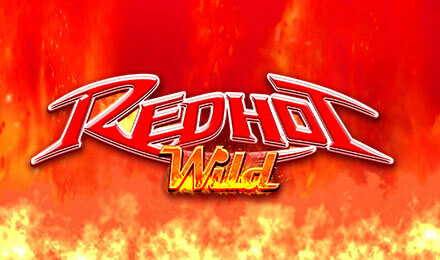 Red Hot Wild will keep you on your toes as you win big! You get to choose your Wild, there’s a generous Big Bet Feature, Auto Play and more! Red Hot Wild Slots is on fire! It’s a quick 3 reel, 5 payline game with loads of rewarding bonuses! You can choose Auto Play if you’d like to pre-select how many games to play, and there’s an RTP up to 98%! Plus, more notably, before each spin, you get to choose which symbol will be your Wild, each one coming with a different multiplier value. There’s also a Big Bet Option with Stepping Wilds, Persistent Wilds and more!